Whether or not vaping is a safe way for traditional cigarette smokers to quit smoking is one of the most hotly debated subjects today. According to Web MD there is evidence that suggests smoking e-cigarettes may be safer than smoking traditional cigarettes. One of the biggest health concerns for traditional cigarettes are the toxins given off by tobacco in the cigarettes. E-cigarettes actually contain no tobacco. Some tests on e-cigarettes suggest that the toxins given off by e-cigarettes may be less dangerous than traditional cigarettes. Health concerns about e-cigarettes continue to wage on due to chemicals in e-cigarettes, such as nicotine. The amount of nicotine in an e-cigarette is regulated by the e-liquid used and the smoker. The nicotine is in the e-liquid not the e-cigarette itself. The amount of nicotine in an e-liquid can range from 24mg down to 0mg. The smoker has the choice of what level of nicotine he wants in his e-cigarettes. For the traditional cigarette smoker trying to cut-down or quit, this an ideal way for him to reduce his level of nicotine slowly and at his own pace. Many e-cigarettes are made to look like traditional cigarettes. The cigarette-like look and feel is familiar and comforting for the traditional cigarette smoker trying to quit. The user inhales through a mouth-piece at one end of the e-cigarette, much like smoking a traditional cigarette. The air-flow triggers a sensor that switches on a battery-powered heater. The heater vaporizes the e-liquid that is in a small cartridge. This also activates a light at the other end of the e-cigarette, much like the lit end of a traditional cigarette. The heater also vaporizes propylene glycol, a chemical that makes what appears to be smoke to enhance the traditional cigarette-like feel. When the smoker inhales an e-cigarette he gets a puff of hot vapor that has the same sensation as a traditional tobacco cigarettes. Without the smoke from tobacco, the e-cigarette is not only healthier for the smoker but there is also no health risk from second-hand smoke for others like in traditional cigarettes. Other benefits of vaping are costs and the ability to smoke in public places. The cost of traditional cigarettes per pack has sky-rocketed in recent years forcing smokers to look for cheaper alternatives. Although vaping costs vary, in general, e-cigarettes can be much more cost effective than traditional cigarettes. There are many different methods and products used for vaping. 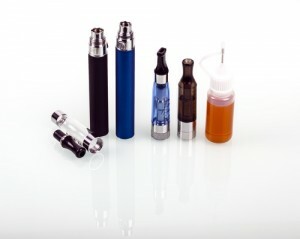 Products range from disposable to rechargeable and re-fillable e-cigarettes. The other benefit of vaping is there are very few places that smoking e-cigarettes is banned, unlike the restrictions enforced on traditional cigarette smokers. The journey to quit smoking can be a long, hard road. Vaping can ease the stress associated with trying to quit traditional cigarettes. To learn more about vaping and how it can help you to quit smoking please visit our Tyler Vape Shop. 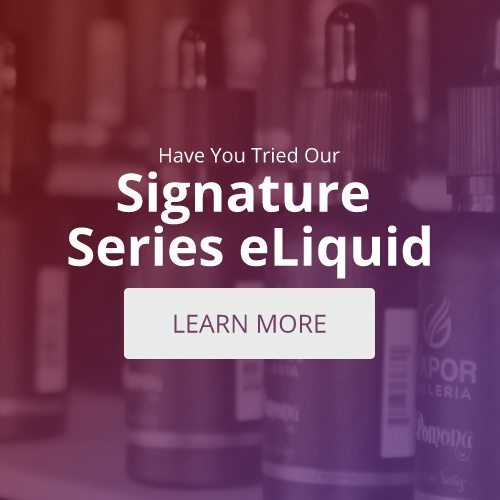 Our knowledgeable employees can help you find the right vaping products to help you in your quest to quit smoking.